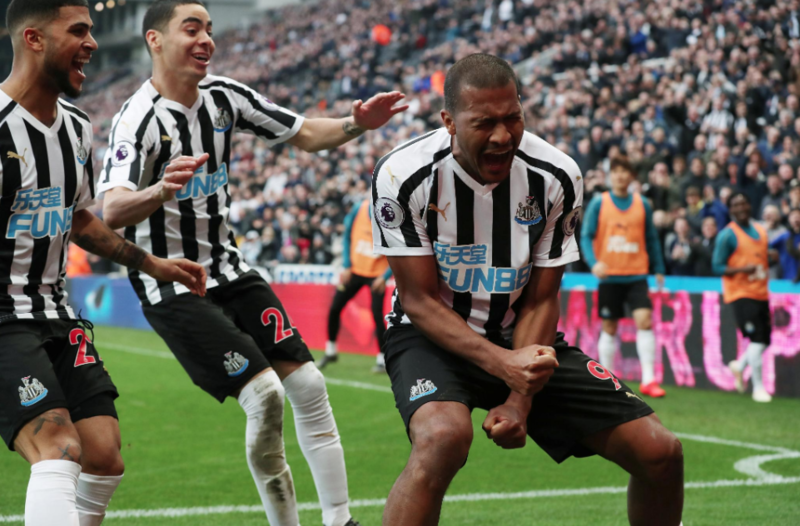 PLAYER RATINGS: Newcastle 2-0 Huddersfield – Two outstanding 9’s, a few 8’s & several 7’s – NUFC blog – Newcastle United blog – NUFC Fixtures, News and Forum. 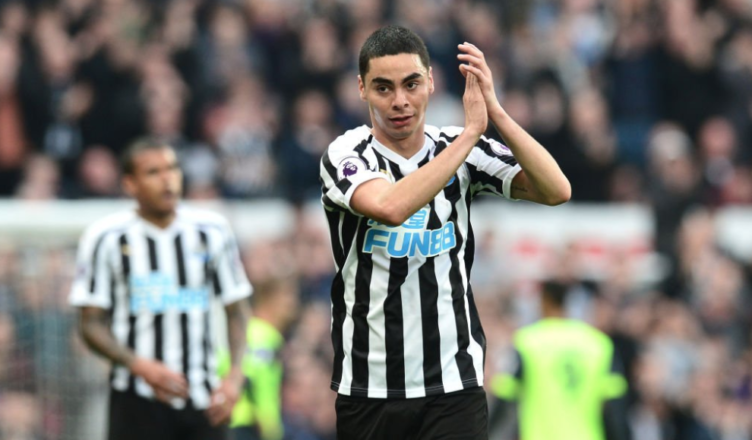 Another huge step towards survival at St James’ Park today, with Miguel Almiron putting in an outstanding debut display. NUFC XI – (5-2-2-1): Dubravka (8) – Yedlin (7), Schar (7), Lascelles (7), Lejeune (8), Ritchie (7.5) – Hayden (7) , Longstaff (9) – Perez (8), Almiron (9) – Rondon (8). Dubravka – 8 – Perhaps a little generous given he didn’t have a great deal to do, but he hit back at any critics convincingly today. It would’ve been easy for him to play it safe, but he was bold from the outset in both his claiming of crosses and distribution from the back. A rock solid response after enduring his most difficult few weeks at the club. Yedlin – 7 – Played a big part in our opener, with his burst forward and first time pass being key after getting on the end of Lejeune’s brilliant pass out wide. He was a little hesitant and reluctant to get crosses in at times, with him quite often cutting inside, but he got down the line constantly and was a good outlet. Schar – 7 – Was always looking to step out of defence and move the ball into attacking areas. Some of his attempts were wayward, but his forward thinking approach from the back was key given we were up against 10 men and on the front foot as a result. Lascelles – 7 – A few scruffy clearances but generally dealt with Depoitre’s physicality pretty well. The fact he has two ball players either side of him has helped cover for his limitations on the ball. Ritchie – 7.5 – An all action performance which saw him heavily involved from an attacking perspective in the first half. Saw a lot of the ball, with Almiron’s brilliant movement ahead of him giving him space to surge forward down the left. Was his usual busy self an put some cracking deliveries into the box. Hayden – 7 – Another solid performance, with him doing the dirty work well while Longstaff pulled the strings alongside him. Mo Diame is back fit, but both he, Shelvey and Ki will do well to get in this team ahead of him on current form. Longstaff – 9* – Absolutely outstanding once again and probably our man of the match..once again! He made it look easy at times, barely put a foot wrong, and continues to play with a maturity and class beyond his years. He should’ve also got a brilliant assist with him putting in an inch perfect cross to set up Rondon. It looks more and more like we have a huge talent on our hands! Perez – 8 – Took his goal well and looked very lively from start to finish, appearing to thrive in an attack that looked far more fluid with Almiron in it. He linked up brilliantly with Rondon and seems to have come alive in recent weeks, with him scoring once again in a big game at St James’ Park. Almiron – 9 – Hugely impressive in so many ways. He may not have scored or assisted, but he was absolutely everywhere. He created more chances than any other player has for us this season, his decision making was impressive, his movement outstanding and his final ball bang on more often than not. There’s few players who have both guile and pace, but he looks to have both in abundance. Hit the post after bursting through and lobbing the keeper and could’ve had a couple of assists if we’d had our shooting boots on. Flare, drive, vision and just a joy to watch; both on and off the ball. A star may have been born at St James’ Park today! Rondon – 8 – Missed a big chance with his head in the first half, but he more than made up for that. He was the link man in between the elusive Perez and Almiron and grabbed our all important opener just moments into the second half. A constant presence in the box and a handful for both Huddersfield centre-backs all afternoon. Kenedy – 6 – Replaced Ritchie and slotted in at left-wing back. Had a few nice drives forward with the ball but sometimes chose the wrong pass or dithered when he should’ve released it. Looked brighter though! Atsu – N/A – On for the final 10 minutes at a stage where the game was practically done and dusted so hard to rate, although we certainly lost a spark when Almiron came off which says a lot! Joselu – N/A – Came on for the last few minutes so wasn’t playing long enough to make any real impression. Benitez a ‘big fan’ of Huddersfield star – Could NUFC make a bid this summer? Olly, not often I agree with ratings like this but I have to say spot on mate. After the match I was thinking how much everybody would be raving about Almiron – and quite rightly too – but in my mind Longstaff was the man of the moment. His calm was a pleasure to see in our midfield and his right footed attempt at a curler was sublime – up the point it hit the top right corner of the woodwork then it was just a miss. After the game in Spain I got some stick for saying that while I was sure that in the future he would show us how brilliant he was, Spain and Wolves weren’t it. Well last night he definitely turned up, and what a pleasant surprise it was. He reminds me of a young Beardsley in many ways. Highlight for me was his attempt from about 10 yards out where he tried to sidefoot a pass inside the left hand upright. So aware and so composed. I don’t think you were at all generous with Dubravka. He didn’t put a foot wrong. Or a hand, come to think of it. A couple of their crosses were very good and he handled them superbly. Good confidence booster for him. The game finished at 1 am here, well worth the late night. Now I’m looking forward to the 4am kickoff against Burnley.